Perfect Materials: Genuine Leather. Comfortable to wear and safe for human skin. Free Size: 5.5''-8.1''. One size fits most wrists. Durable and sturdy: Metal Clasps fit seamlessly into your charge 2 watch interface ensure the stability and security. 2. Remember that take off the leather band to make it ventilate and?airing after you exercise and sweat. 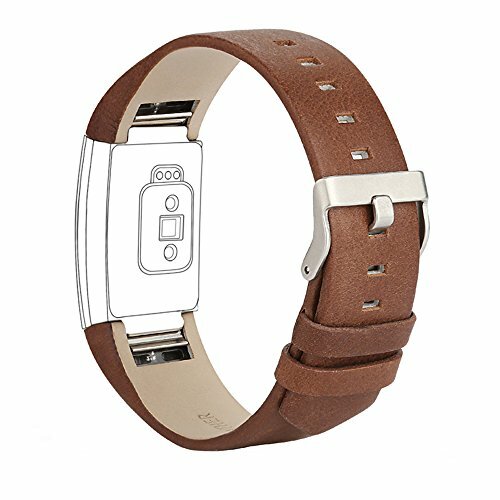 Personalized your Fitbit Charge 2 smart watch with this charge 2 refined leather wristband Now! If you have any questions about this product by iGK, contact us by completing and submitting the form below. If you are looking for a specif part number, please include it with your message.